Robbie Williams. Mack The Knife. Song about a murderer. “Now on the sidewalk… whoo, sunny mornin’, Lies a body just oozin’ life.” Don’t harsh my mellow, Rob! Ed Sheeran. A Team. Song about a junkie prostitute. “Go mad for a couple grams… And in a pipe she flies to the Motherland, Or sells love to another man.” Thanks, Ed! Tom Jones. Mama Told Me Not To Come. Song about drug-fuelled party. “That cigarette you’re smoking ’bout to scare me half to death.” Delilah. Song about death and adultery. “She stood there laughing—I felt the knife in my hand and she laughed no more.” Loving the imagery, Sir Tom! Renee Fleming. Un Bel Di Vedremo (from Madame Butterfly). Deluded woman waits for philandering, unpleasant husband to return. Grace Jones. Slave To The Rhythm. The Hula Hoop. Enough said. 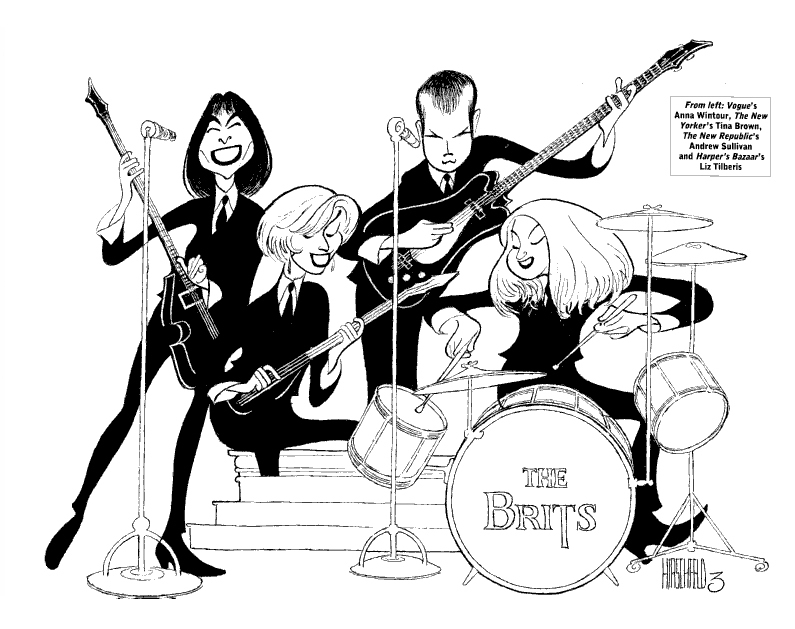 Al Hirshfield draws the British editors who made their careers in NYC in the 90s. Diggin’ Anna Wintour as Paul McCartney! 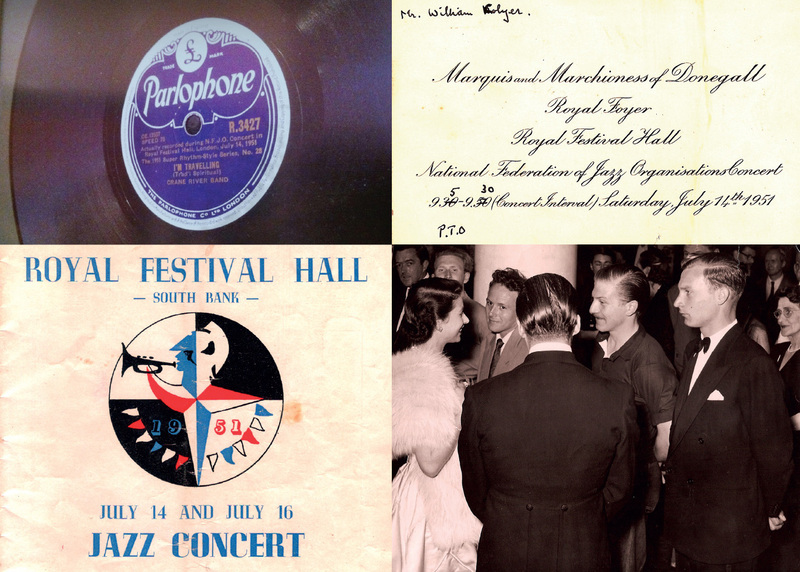 In this Jubilee Week, a look back at the Festival Of Britain, put in mind by a lovely present from the erstwhile jazz drummer Colin Bowden. A framed 78 by the Crane River Jazz Band (on the Parlophone label) of I’m Travelling, with Ken Colyer on cornet and Bill Colyer on washboard. Colin: “That record of I’m Travelling was the first major recording I ever did, because I was in the audience!” Colin was a schoolboy at the time, but went on to become one of the major figures in the Traditional Jazz revival of the early fifties.